"One of the best platform to learn Data Science or Data Analysis"
The best thing is their concept to teach us. First they explain the concepts through the video and examples and then they provide us some small exercises to complete. Later for every course they provide exercise on real life project. There are many real life projects available along with very supportive Slack community. The thing I dislike is that they should provide more exercise on the SQL and also few more exercises on Importing Data Using Python. They did covered only few scenarios in that and I had to learned other scenarios myself. They should also more courses on their mobile platform. Currently I use it on Desktop as mobile platform doesn't have enough courses. I will suggest you to definitely try datacamp as they have one of the best course structure to learn data science and data analysis. Good Luck. I am using Datacamp for myself. I am currently learning Data Science using Python from there and currently on the Data Visualization Stage. I am using this platform since 8 months and I am really so much happy to use it. I previously have used DataQuest and I will definitely prefer DataCamp over DataQuest to anyone. The content is presented well and the basics that are commonly used with Python and R are taught in a way that is easy to remember. For those wanting to get more into Kaggle, they have a course that will help you get your first Kaggle submission ready and understand how to get involved in that community. The beginner and intermediate courses are great to get up and running, but I didn't find much in the way of advanced or in-depth material. I would have like to have more projects to work on. Data camp is a great place to get started in data science. I would recommend it to anyone looking to get a good intro to Python or R for data science. The beginner and intermediate courses helped me get going when I started with Kaggle and data science. I use a lot of what I learned in the courses in my job every day. "Best platform to learn python!" I love their tutorials on languages like Python and R language. Data Camp’s way of instruction style and in-browser programming environment are great for learning syntax for python and R. I am not a CS engineer, but I had to use python frequently for my work and assignments too. I agree we get loads of resources on the internet, but learning something in an interactive way is always a plus. I got to evaluate this website for a trial period too, which is great. It gave me some time to think to further access their services, which I obviously did. They have loads of tutorials and after every tutorial we get a coding assignment on what we learnt. I find this way really great to learn any language. Their R Programming Track, which is also one of my favorites for programming courses in general, effectively gives you a blend of both programming fundamentals and R syntax instructions. There are definitely loads of pros to this website. It's not even expensive at all. Their videos are really good and to the point. They cover mostly every critical aspect in the topic. I would recommend this to all data science people. There is nothing to dislike about it. I mean I didn't find anything to hate or dislike. Must use for data science students and beginners for R and Python language. Being a non-CS engineer, it is helping me to learn some of the most used languages in industries, like python and R. Also, I can learn them anytime I want. Interactive way and fun to learn languages. "Amazing web-tool for data visualization for Beginners!" A free/inexpensive mode of online learning. Great, concise videos aided with parallel practice sessions. A useful hands-on tool with pre-loaded language packages. I find it very convenient to just log in and use it anywhere I like. After few practice exercises, there is a call for payments but it is not undermined by the pros we have for Datacamp. One gets whats worth with free and then with payment, one can explore more. I wish there was a student's discount or package for a year. Great tool to learn quick applications of many languages and Data Viz skills! Data dimensionality reduction approaches and data viz tutorials help me solve my exploratory data- analysis problems which are generally time-consuming. One can make publication quality graphs too using ggplot and they are particularly useful to learn when you have multiple variables. Our group benefits a lot from various tutorials. "outstanding tool for improving coding ability"
I like that you get to practice coding directly after watching short videos. You also get feedback and hints when you need extra help. This is definitely the way to learn--by doing. The instructors are all engaging and are professional in their presentation of the material. I also like the python/r command line tool available during practice problems. It allows you to experiment with the code in real time. I appreciate the breadth of topics offered--datacamp offers courses in everything from statistics to text mining, writing functions, and working with spatial data. Finally, I like that datacamp is extremely user friendly. Sometimes the example problems are trivial or not very interesting, and I had trouble locating datasets that were used for example problems (I wanted to have them so I could practice on my own computer). Also, if you are struggling on a problem, the hints are not always very helpful. I've often finished practice problems correctly, but was not able to submit because my syntax was slightly different, which was a little annoying. Sometimes the practice problems did not relate very well to the lecture material. I would recommend this to those who want to improve their coding in either R, Python, or both. It's a fast and efficient way to get better. Datacamp has helped me be much more efficient in coding problems in the workplace. I have implemented many of the things I learned in projects for work. "Just as good as a Master's Program"
Both R and Python are on here. There is always a debate between R and Python and having both on their lets the user pick! Also, there is new content all the time - awesome. I have finished the coursework for a Master's in Predictive Analytics and I did Data Camp exercises the entire time to help me out. Honestly, I have not found anything I don't like about this yet. This is a FANTASTIC educational site if you are looking to learn R or Python for the first time AND are a veteran and looking to enhance your skills. Also, if you are looking to get into Data Science, this is an awesome place to start. Trying to be better all around at using R so I can push Machine Learning algorithms to production that are a part of an analytics software. When it comes to data prep, I love using R. I have extensive SQL background, so learning R was a cool experience. "Great way to learn how to use data science to improve Case Study & Applied Finance modules"
The community hub where there are tons of tutorials from the best & brightest, it's easy to connect with people you can learn from in various specialties. For people who didn't get their undergrad in "tech" related fields of study, this has been a big help when using data science to break down financing modules and cleaning up data to make our case studies more impactful. So far nothing but we are still exploring the modules and topics we wouldn't personally use off the bat. We're using Data Camp to address some of the lag that our staff has when it comes to tech in our research and analysis work. We look forward to using the DataCamp tools.courses as our work progresses and expands. Great concept and product, great scope of courses. Extremely supportive team also to the smaller fish like us. Would have linked my github account for networking, but I am not willing to give r/w access for no reason. Minor issue though. Hard to find anything to dislike. Start with a free trial, to see if DataCamp is for you at all. If can imagine using DataCamp... do so ! Get a subscription for 1 or 2 persons (or ask for trial of the more advanced courses) and really test these more advanced courses. It's easy to create a good beginners' course, but hard to find really helpful expert courses. Compared to openEdx or coursera it's much less of a degree / certificate kind of tool. Contact the support if you have any questions! "Easy way to learn data science - even at lunch break"
The product is easy to use, simple concepts explanation designed to go from simple to complex things. The app can be used anywhere to learn basics of Python programming, I even used it at lunch break while waiting for my food order. The variety of topics is expanding every week and the website contains helpful cheetsheets for easy refresh of the key libraries. One of the introductory courses was crashing the app on the assessment part. Hopefully, that little glitch will be fixed soon. Start with the trial, especially if you have previous experience and need to check if the available courses are right for you. If you have MSDN subscription, you can use it free for 3 months. I learn analysis technics that can be handy in my day to day analytic tasks. The users can learn different ways of analyzing the data using R or Python. "Excellent service to learn applied data science using R and python"
Courses that focus on data science in specific areas, split into bite-sized chunks that easy to digest. Courses focused on applied use. Great introductions in using R and python in specific areas with heavy usage of statistics and machine learning like statistics in finance, natural language processing. Also nice introductions to practical aspects of using popular libraries in R and python, as well as supporting technologies like Git in data science and SQL. Lack of courses covering fundamentals: linear algebra, fundamental machine learning algorithms. Not enough social aspects, no options on guided learning, 1-1 and project reviews. Excellent service for those who want to learn how to apply R and Python in a real-world areas like financials analysis or visualization; or for data analysts who want to keep updated with latest techniques, libraries and tools. I would not recommend for newbies in data science, or for those with no or rudimentary programming skills. Learning new tools, software libraries and applications of R and Python in various areas. "Great for Beginner and Intermediate Data Analysts/Scientists"
Beginner courses are superficial to their approach and to get the most out of the DataCamp classes, additional research/work is required. It's a great starting point, but there's still lots of gaps in applying the knowledge/learning to real-world examples. I've used DataCamp in conjunction with Coursera's Data Science 10-class certification. DataCamp is great insofar as it offers R and Python introductory, intermediate, and advanced classes for those looking to enter the data science / data analysis field. The courses are geared towards beginners, with some rudimentary familiarity with data, its use, and computer systems. Overall, I've found DataCamps' courses to be great for establishing a basic framework for data analysis/science, and the courses to proceed in a logical, coherent fashion. To manage, organize, manipulate large data files (>100k rows). Benefits have allowed me to take deeper (longer-term) dives into aggregated data, and manipulate different elements of data more readily and easily. It's also served to introduce me to a number of best practices, and help me think more programmatically/analytically about problems. "Wide variety of technical courses"
- It can incorporate more challenging exercises. I think the exercises in some of these courses are intentionally made 'simple'. While that may be fine for learners who cannot spend too much time on the courses, a separate set of exercises that could be for experts would help for those who want to learn more about the subjects in depth. 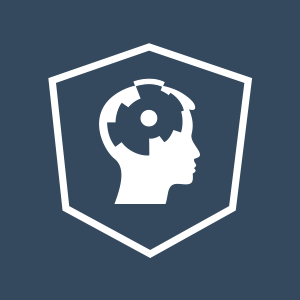 - Users can learn R and in particular Machine Learning with R using a simple interface and without having to dedicate time towards more exhaustive courses. "Great platform to learn data science and analytics"
DataCamp is a wonderful platform to learn and practice data science and data analytics related topics. It has a great tutorial base and offers 24/7 support to users using forums and slack community. The special attraction the site provides is, it sets milestones for completing various courses. It provides motivation to continue learning. The tutorials are designed to provide real-time experience and conceptual knowledge. The interface is appealing and easy to use. DataCamp offers a lot of student discounts and has very manageable plans. Apart from all these, the newsletters are amazing. I would suggest subscribing to them to learn more about data science and data analytics. The most thing I dislike about DataCamp is that it offers very less trial period duration. I hope the company considers this and increases the trial period duration so that users can evaluate the resources more efficiently. Few courses are too pricey for the content they provide. It would be better to review the pricing before opting the course. From my experience with the courses it, it is a great platform for learning R, Python, or both. The certifications are valued by few companies and are even considered for Master's courses. Video tutorials, Online python compiler. "The Best E-Learning Site Ever!" The interactive nature of each of the lessons in the courses offered on Datacamp help us instill a sense of achievement alongside learning new things. This is really important in the E-Learning software and companies, as the user attrition rate increases without the user gaining interest in what he or she is learning through such sites. I tried complementing the data analysis knowledge gained through my graduate degrees at school. The way how each lesson goes, and the way how the user has to complete a set of objectives to get to the next part of the lesson is really awesome. "Good courses for Data Science in Python. " 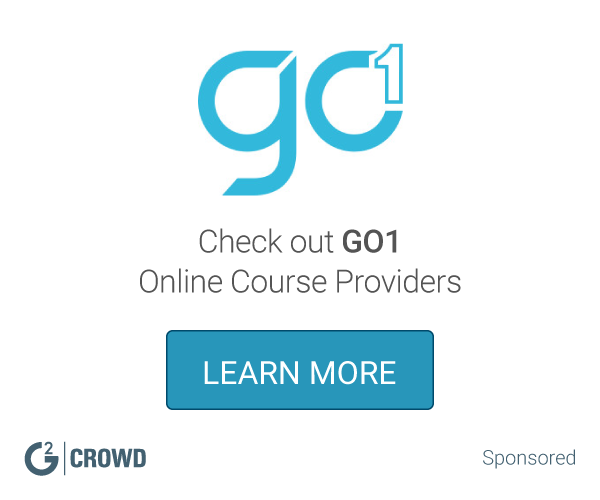 With a subscription you get access to unlimited courses. Each programming course took me 2-3 days to complete. I recommend taking as many classes as you can. There are short videos followed by exercises to practice each concept. Some of the datasets used for the programming case studies were very boring. I think the case studies should be optional if you are not given a choice to choose a dataset that interests you. Learn to make predictions using implementations of machine learning algorithms in Scikit-learn. "Affordable price for outstanding training"
From an end-user perspective, it it really intuitive and visually appealing, as well as the usual perks from every MOOC available on the Web. Pricing can be a bit steep, compared to other options like Coursera or EdX. Give it a go, test it for a drive. It is worth the experience in terms of practicing your learning skills. Courses on R and other data science programming are very theoretical. With Datacamp, you get to practice right there. Data camp should include things to grade the work we do. Be aware that this is one of best customization tool available in market. WHen it comes to large groups, its very helpful. "Classroom for a data scientist"
A great variety of topics to choose from especially from the data science domain. They also send you a very insightful newsletter every week focusing on different data science projects and updates. They should expand more in domains pertaining to data other than data science. A big drawback is the lack of a mobile or tablet application. I have used data camp to learn about certain ML and Statistical algorithms in data science. "Learning and development for data science"
I like the data camp platform because of the videos and practice problems that the courses offer. It gives you a great primer to do great work in whatever subject they are promoting. Datacamp for businesses and personal use isn't cheap and you have to use it constantly to justify the value. The business problems I'm solving with datacamp is the need to keep my data science skills in the new. By using data camp, I'm able to continue to be marketable. "One of the best places to learn data analysis and data science"
Very well developed, the virtual enviroment works perfectly and it has almost no bugs. Great content and ever growing library. Not much really, my experience has been rather positive. What you'll learn here is pretty specific for data analysis, not a great resources for people just leaning to code. For data... SURE go ahead. "Data science lessons made easy"
I like how DataCamp is a great tool that lets me learn more about data analytics and data science as a data analyst at my company. I dislike how DataCamp isn't free and I have to pay for courses beyond the first chapter. The business problems I'm solving with DataCamp is primarily professional development. I have been able to do other lessons and improve my data analytics skills. I think DataCamp is great. The lessons are relatively intuitive and the UI is top-notch. If you can commit to putting enough time in per day I think you'll be coding in no time. Handling errors actually works pretty well compared to some other courses I've seen but I think there's always room for improvement. Learning python bit by bit instead of jumping head first into a project. The tutorials are very well thought and educational. In my opinion, some of the beginner coarses were boring. It has a steep learning curve and it is not hard to dive into new topics. "Best online instruction tool for learning software development and coding." Combines video, written narratives, code examples, and coding assignments. Too much emphasis on video of instructor. Best of all, users can easily create their own Datacamp courses, using easy to use GUI software. "Great way to learn R and python"
Definitely use! Just be motivated. "Easy to learn new useful techniques"
Clean front-end look. Easy to use and test script in console. The price. There are many other free resources available that are just as good. It's convenient to use a web browser instead of having to download and install RStudio. I am learning the R programming skills necessary to complete actuarial experience data studies. Step by step guidelines, teach then practice set-up, point system to motivate. I have yet to find a way to review previous lessons learned. It feels like it's still new and I can't wait until it becomes better and better. Learning new things that I can quickly apply to solve problems. "Master data analysis at your own pace"
You can from your own pace, great resources and an affordable price. There is a knowledge ceiling, this is tailored mostly for beginners and intermediates. Advanced skills may not benefit much. Any beginners and intermediates with data analysis can increase their skills easily on their own time. I took the Python course there and found it useful. "Easy and concise instructions for beginning programmers"
"Great for learning new skills and concepts"
Would recommend to others looking to take online classes or learn new hard skills! DataCamp was great and worth the time/effort. The lessons are interactive and very simple to understand. Not enough examples. They could addd more in this department. Consider using it. It brings a new level of competition to your organization. Visualization is key. People are able to understand more. "Learn at your own pace"
I like that I can learn at my own pace from the comfort of my home. I have learned how to use Python. There are many features that allows for one to obtain data. Like the content, especially for the value. Self paced classes. Limited degree track. * We monitor all DataCamp reviews to prevent fraudulent reviews and keep review quality high. We do not post reviews by company employees or direct competitors. Validated reviews require the user to submit a screenshot of the product containing their user ID, in order to verify a user is an actual user of the product. Hi there! Are you looking to implement a solution like DataCamp?